$39.95 Registered to an individual. Installed on 1 PC per licensed purchased. Purchase is made via a secure server. Your product activation key is provided on a web page at the end of the purchase process and also sent to you via email. To enter your product activation key, click on the orange "i" button on the main program screen and then click "Activate". Cut and paste the name and key exactly as it was provided to you. Once you have entered your activation key you will be able to save recovered photos from your camera card to your computer or other storage device. You do not need to run the search again. You must save the photo recovery results to another drive. 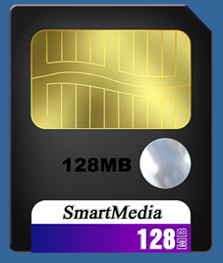 Do not copy photos back to your Smart Media Card until you have recovered and saved all possible photos from the card.